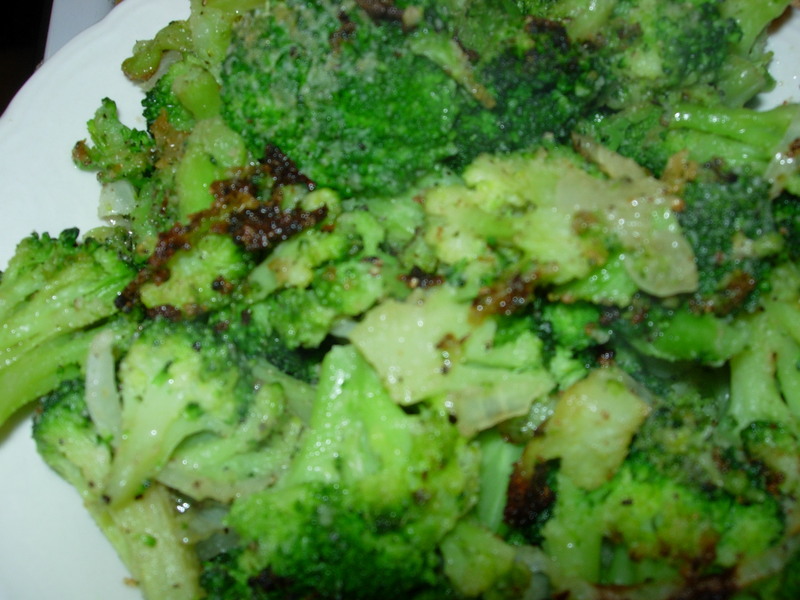 Fired Broccoli…the Best Broccoli you will EVER eat! Broccoli is hands down my FAVORITE vegetable. I could eat it every day and often do! In fact, this recipe is SO yummy that it enabled me to make an entire meal of just Broccoli, haha! However, I can not recommend that to you with a clean conscience as Broccoli can do some “fun” things to your digestive system when you eat too much of it! So even though this Fired Broccoli will make you want to eat the entire pan, it is best served as a side dish or alongside something else. This recipe is highly adaptable. You can infuse the broccoli with Asian flavors by drizzling with some rice vinegar and soy sauce and sprinkling with fresh ginger and garlic, or make it spicy by sprinkling with cayenne pepper and chili flakes along with onion or garlic. Truly the flavor possibilities are endless. This particular recipe is my favorite and is FANTASTIC served alongside of baked chicken or fish and mashed potatoes, or mixed into pasta at the last minute with a white wine sauce or Alfredo sauce. I have also just eaten a giant bowl (yes I did eat the whole bag of broccoli) drizzled with peanut sauce and was a very happy lady! You have to try this! It is easy and tastes fresh and delicious and takes only 3 minutes to prepare and then cooking time!